Here's a little known fact about me: I am slightly obsessed with earrings. I wear them all. the. time. You know how some women never leave home without their lipstick? I never leave home without earrings on. And, if god-forbid, I forget them, I have probably about 3 pairs in the pockets of any bag I own. So, when I came across the jewelry from Erin's Inspirations, I fell in love. It's that classic, simple, beautiful jewelry which you could easily wear to school, on a date, or even to a wedding. Erin designs her pieces to pair with breezy summer dresses, or jeans and tees, or shiny New Year's Eve get-ups. 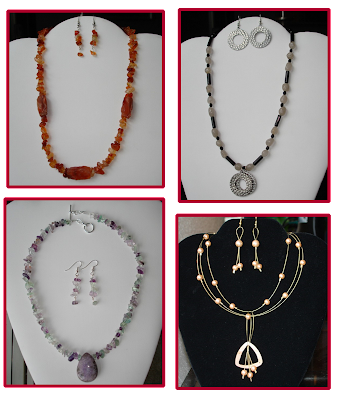 Simply put, Erin designs jewelry for the woman who loves to live a gorgeous life. Erin, based out of Houston, also makes the perfect bridesmaid jewelry (she made all her bridesmaids' jewelry!). 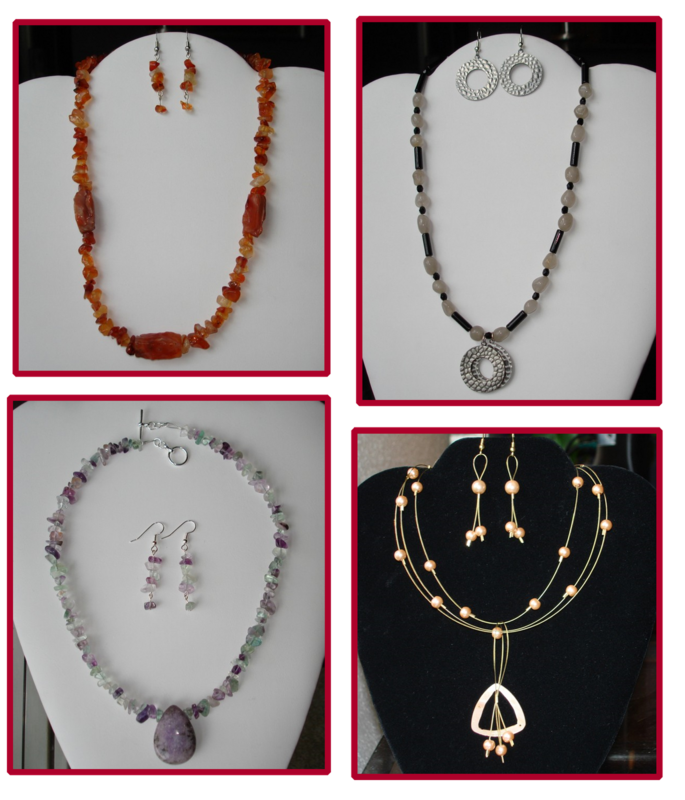 Erin's jewelry brings out the natural beauty in life, and in the women who are lucky enough to wear her pieces. 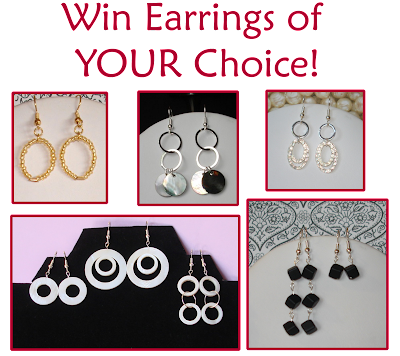 Speaking of lucky...Erin's Inspirations is very excited to give away a pair of earrings to a lucky Lovely reader! And guess what...the winner can pick their favorite pair to have! How can you be this lucky Lovely reader? It's so easy! Head over to Erin's Inspirations and take a look around. Then leave a comment on this Lovely post telling us which piece is your favorite. You may enter as many times as you like. Make sure you include a valid e-mail address in your comment so we can contact you in case you win! Entries not including an e-mail address will not be considered. For additional entries: friend Erin's Inspirations on Facebook and comment here with your name; friend Lovely at Your Side on Facebook and comment here with your name. The contest will end on December 19th, at 12 PM EST. A winner will be randomly picked and announced the next day. Good luck! Update: We have a winner! #49, Jlandry83. Thanks for playing! I am loving Turquoise Time!! SO GORGEOUS!!! I 'like' Erin's Inspirations on FB!! I 'like' Lovely at your side on FB!!! My favorite is Grey Shell Dangles. So cute!!!! I love the Blue and Green Squares necklace! Beautiful! 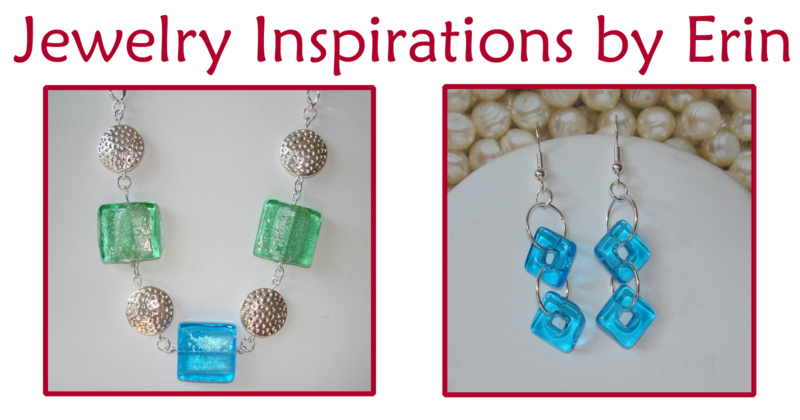 Woops - forgot my email - I like the Blue and Green Squares necklace! I love the solstice earrings! I LIKE "Lovely At Your Side"
One item that I think is lovely is the Turquoise Time necklace...so pretty! Another item that appealed to me was the Silver Shell Dangles necklace. Reminds me of my mum who wore that type of necklace all the time! I like Falling for Fall Necklace! I like Erin's Inspirations on Facebook! I like Lovely at Your Side on Facebook! I love the Grey Agate necklace. Love the turquoise cross necklace! I love the Solstice earrings. I love the braids of gold necklace! I just love gold! Gray Agate is my favorite on your site. I do however love my grey and black necklass that is on facebook. I wear them all the time. Turquoise time!! [a la Ramona Singer] love it! I like the Grey Shell Dangles set! I love the Bronze Pearls in a Triple Strand necklace! Loving Lavender is my favorite!! Falling for Fall is my favorite. I like Falling for Fall! Super cute. Erin is so talented!! My favorite is the Solstice earrings. I love the Grey Shell Dangles, thanks! I like the Blue and Green Squares necklace. I love the Bronze Pearls in a Triple Strand. I think the White as snow necklace is very pretty. I like the Solstice earrings. i like the grey agate necklace! i like turquoise time, thank you! I adore the White as Snow set. I like Jewelry Inspirations by Erin under the username wunderfraulein. I like Lovely at your Side under the username wunderfraulein. Love the "white as snow" necklace! Grey Shell Dangles are so cute! I think the Gemstone Wreath necklace is pretty!